Updated after the St. Louis Society vote -- In what one member called a “hotly divided” decision, the Archeological Institute of America - St. Louis Society narrowly voted Tuesday night to retain its board, even though that could allow the national organization to revoke the chapter’s charter. The controversy stems from the local group’s sale of items it had owned for decades. 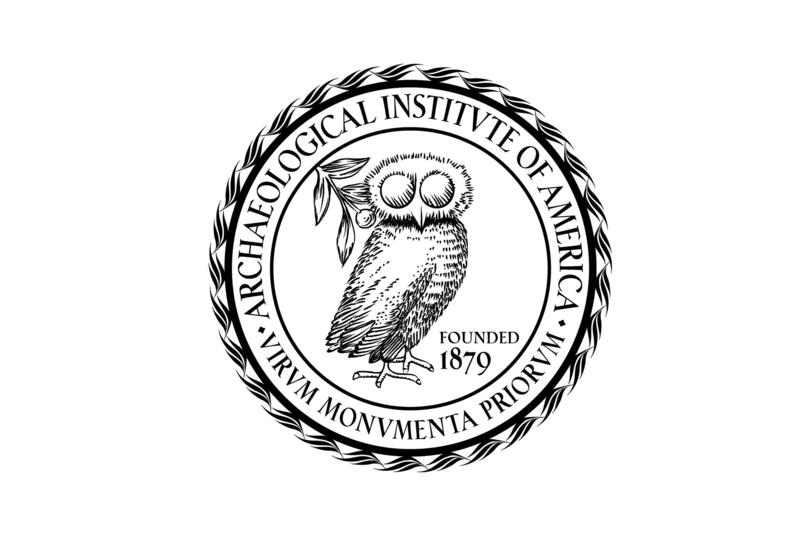 At its recent meeting in New Orleans, the Archaeological Institute of America voted to revoke the charter of the St. Louis chapter unless it replaces its entire board by Feb. 1. That action came after the chapter went against the strongly expressed wishes of the national organization and sold Egyptian and Mesoamerican artifacts. But board member Judy Brilliant said the board did nothing wrong and committed no ethical violations of what she said are considered “guidelines,” not rules, on the sale of the artifacts. AIA executive director Ann Benbow said the national organization would not comment on the situation for this article on Tuesday’s vote. Brilliant said the board will meet on Jan. 25 to decide on next steps. Some members have said they hope the matter can be resolved internally before the Feb. 1 deadline. Acting President Michael Fuller, in a statement, said "after full airing and debate of the issues, a majority of members of the St. Louis Society rejected an effort by certain members to remove the Society’s board." But St. Louis chapter member and Saint Louis University history professor Doug Boin said Tuesday’s vote shows “major divisions” within the group’s membership, as it heads toward a "collision course" with the deadline. While Brilliant said the board has not been voted out, Boin said it’s possible the board could yet resign en masse to meet the national organization’s request. In October, the St. Louis chapter, which holds an AIA charter but is a nonprofit in its own right, offered a collection of Egyptian items for sale at auction in London. As reported in The Art Newspaper, Benbow said at the time that the institute had asked that the society not proceed with the sale. The vast majority of the items were withdrawn at the last minute when a deal was reached between the St. Louis chapter and New York's Metropolitan Museum of Art. An Egyptian headrest from this collection was auctioned for 27,500 pounds. In November, the Society for American Archaeology sent a letter to the St. Louis organization that said, in part, “This action by the St. Louis Society constitutes a stark violation of the ethics of the science of archaeology.” A basic problem is selling such items at auction, where they may be bought by private collectors and removed from public view and study. But Acting President Michael Fuller said in a statement that the items had been kept in storage for most of the 100 years the organization had owned them, and that selling them to be placed in museums was "preferable to continued long-term storage in St. Louis." "Repeated efforts over many years to place them with the St. Louis Art Museum and Washington University failed," he said in the statement. At one point, Brilliant said the group decided to spend $2,400 a year to store the items in safe deposit box. Fuller, in the statement, said the board decided in 2014 to put the artifacts up for auction "after consulting with experts." "As a result, 38 of the 40 artifacts were placed in leading museums, most in the Metropolitan Museum of Art in New York City," he said in the statement. "The New York Times reported on December 26, the artifacts, 'largely forgotten' until now, are now headed for public display in a major museum." While AIA rules prohibit the sale of “looted” items, Fuller's statement indicates the items were "documented artifacts, obtained with permission of the applicable governments." “The AIA current bylaws, which state that no chapter can sell artifacts without a proper provenance, do not apply to the Mesoamerican objects as both have a clear history and have been published. They were given to the St Louis Society by Sylvanus Morley, a Mesoamerican archaeologist, in return for the organization partially underwriting his fieldwork, says Thomas Guderjan, a spokesperson for the Maya Research Program. “When [the objects] came up for auction, the Morley connection was not made apparent. With this provenance, it is certain the value of the objects has likely doubled,” he says. 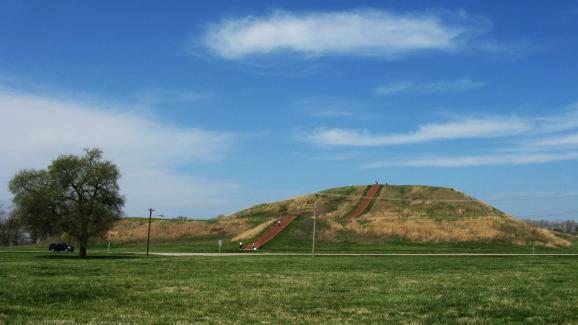 AIA-St. Louis member Boin said while the board’s decision to sell the antiquities was legal, he said it is at odds with concerns national and international archeologists have over valuing cultural assets. “Anytime cultural property is put on the auction block, a pricing gun puts a sticker on the artifact and many people are nervous about that happening and the way that pricing is assigned to people’s cultural heritage,” he said. “We understand that pressing financial concerns played an important role in the decision to dispense with these relics, but neither that nor the fact that most of them were purchased by New York’s Metropolitan Museum of Art in any way lessens the gravity of the course of action taken by the St. Louis Society,” the letter reads. He said he worries the conflict with the national organization could have an impact on local archeologists. Archaeologists Dig For Clues To African-American History In Brooklyn, Ill.
Brooklyn, Ill., is a small, predominantly African-American town, just across the Mississippi River from St. Louis. What little revenue the town brings in comes mostly from strip clubs. But there’s more to Brooklyn than that. 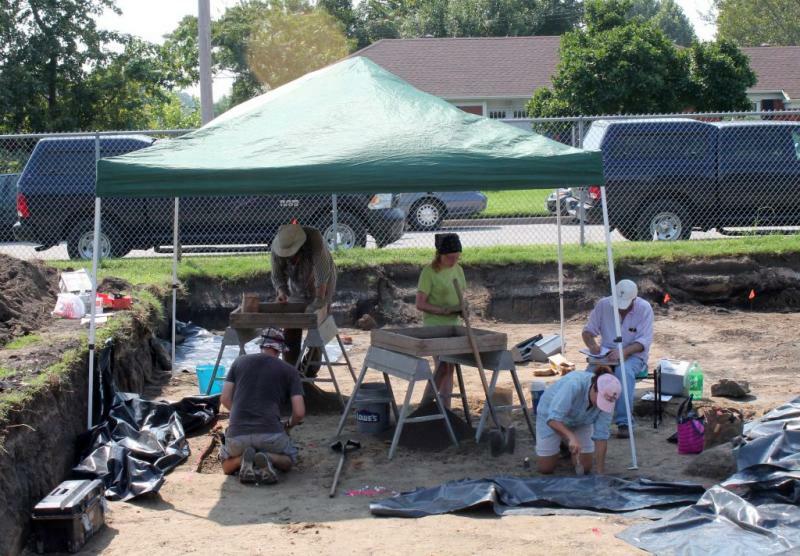 Archaeologists from the Illinois State Archaeological Survey have been digging for evidence of Brooklyn’s pre-Civil-War past, trying to solve some of the mysteries about its origins.